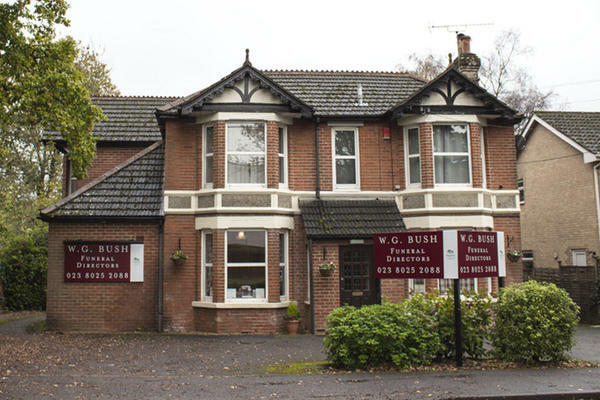 W G Bush Funeral Directors offers funeral care and support to the families of Eastleigh and those from the surrounding Hampshire area. We are committed to helping you at this difficult time and will arrange a dignified funeral for your loved one. With your well-being in mind, we are here to provide guidance and comfort in a respectful and understanding way. You can have as little or as much input into how you want the funeral to proceed and we will ensure your wishes are met, tailoring the service to ensure you can pay your respects in a more meaningful way. The team at our funeral directors is experienced in arranging funerals for all faiths and cultures, and whatever your loved one’s philosophy was in life, this can be reflected in the service. For instance, a humanist funeral or a woodland burial may best express how you want to remember them. The choice will always be yours. You can find our funeral home on Hursley Road in the Chandler’s Ford area, from where we can serve all of Eastleigh. We are also well positioned to provide funerals to the surrounding towns and villages in this part of Hampshire, including Fair Oak, Hedge End and Romsey. There will be somebody available to talk both day and night, offering a sympathetic ear and advice when you need it. W G Bush Funeral Directors is here for you. To arrange a funeral, contact us today. Call us today on 023 8025 2088 to talk through your personal requirements. You can find us on the Hursley Road, in the Chandler's Ford area of Eastleigh, opposite Draper Tools. Our staff are available 24 hours a day on 023 8025 2088 if you require our services outside of these hours. Michael and the rest of the staff were excellent. Very sincere and compassionate in helping our family through a difficult time, W G Bush did everything to make things a little easier for our family With expertise and uncompromising compassion, They arranged and conducted a beautiful funeral service to commemorate the life of my late husband .